The announcement was made by Patrick Hudson, Robot's CEO, on the game's official website. The main reason for the forthcoming shutdown? Orcs Must Die! Unchained just wasn't profitable, and it wasn't the only title in that boat. Fans of Hero Academy and its sequel will also be sad to hear that those games will also be shutdown on April 8, 2019. As these titles are all tied directly into the servers, once those are gone, you won't be able to play them anymore whatsoever. We must shift our focus to future games and make our investments there. Orcs Must Die! Unchained and Hero Academy 2 have been unable to maintain a sufficient player base to cover the operational costs to keep the games running. The original Hero Academy has been technically obsolete for a long time now. The one silver lining? If you log in at any point prior to the shutdown, you'll get a heap of in-game and premium currencies to spend on whatever you choose. It may not be much, but if you've been hankering for the kind of action Orcs Must Die! Unchained has to offer, then getting a bunch of stuff for free for a couple months ain't too bad. Finally, it's worth noting that while you can create a new account and download the game for now, Robot Entertainment will be removing that functionality "over the course of the next 90 days." So if you and your buddies are interested in checking it out, you might want to get it quick before you're locked out. Orcs Must Die! 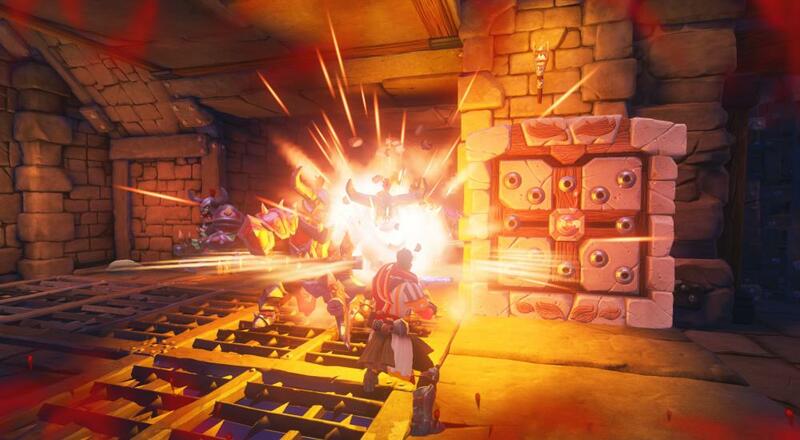 Unchained supports three player online co-op in the Survival and Endless modes. The game is available on PC and PlayStation 4.